I was lucky to have found CrossFit after my wife joined in 2010 and pressured me into trying it. I joined the next day. Being in my late 30’s I had become sedentary after playing football and baseball all through high school and continuing with weightlifting after that. Now being 40 years old, CrossFit has been a great change in my life with overall strength and functional fitness. 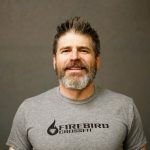 Coaching was the next progression in my CrossFit life being a teacher for 14 years and now a principal for the last 5 years. I truly enjoy teaching and motivating others to accomplish something they might have thought impossible just weeks prior. My favorite sayings to my athletes are “slow is steady and steady is fast” and “have a method to the madness”, these sayings aide athletes into always having a plan when attacking a WOD and doing the very best they can do. CrossFit helps in so many aspects of life and has guided mine to stay focused on goals for myself and my family.  Between the strong community at Firebird, pushing through rigorous WODs, and coaching wonderful people, CrossFit is truly amazing. We are Firebird strong!